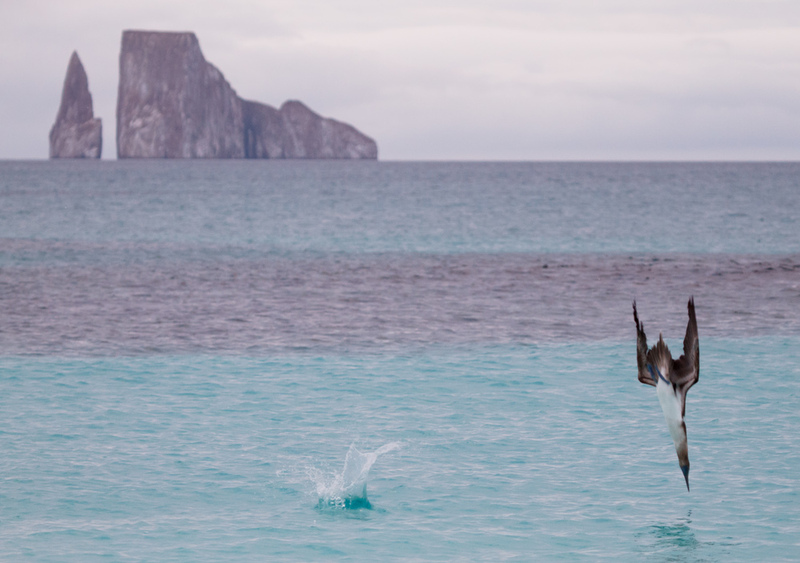 Blue-footed boobies diving for fish near Cerro Brujo Island. 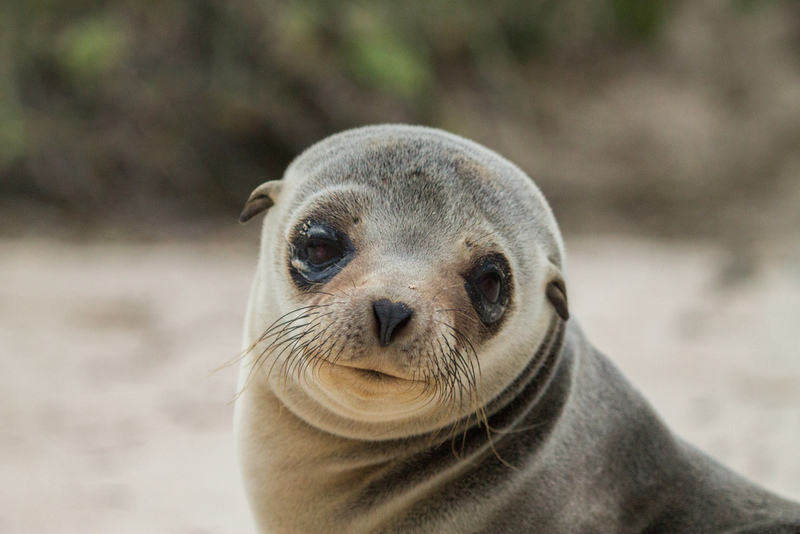 Sea lion on Cerro Brujo Island. Marine iguanas piled up on the beach at Punta Suarez on Espanola Island. Waved Albatrosses on Espanola Island. 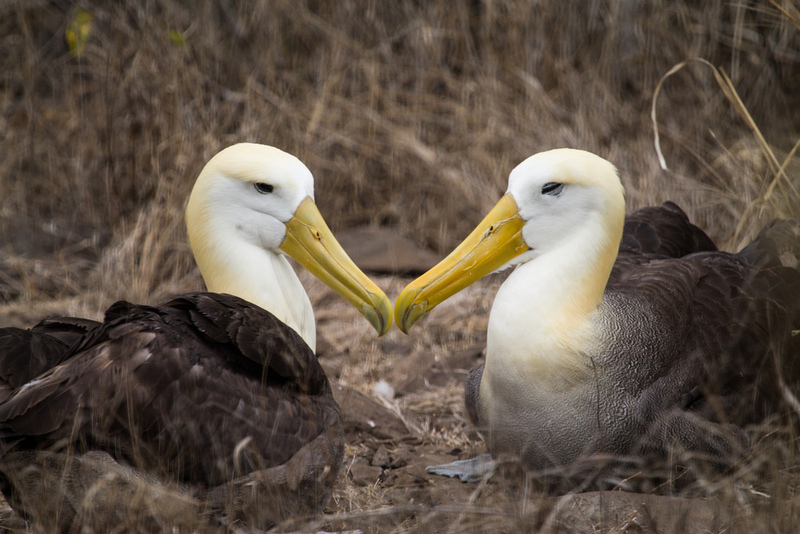 Waved Albatross mating dance on Espanola Island. Darwin's finch on Santa Cruz Island. Slowly migrating giant tortoise (and Darwin's finch) on Santa Cruz Island. Galapagos gull on South Plaza Island. 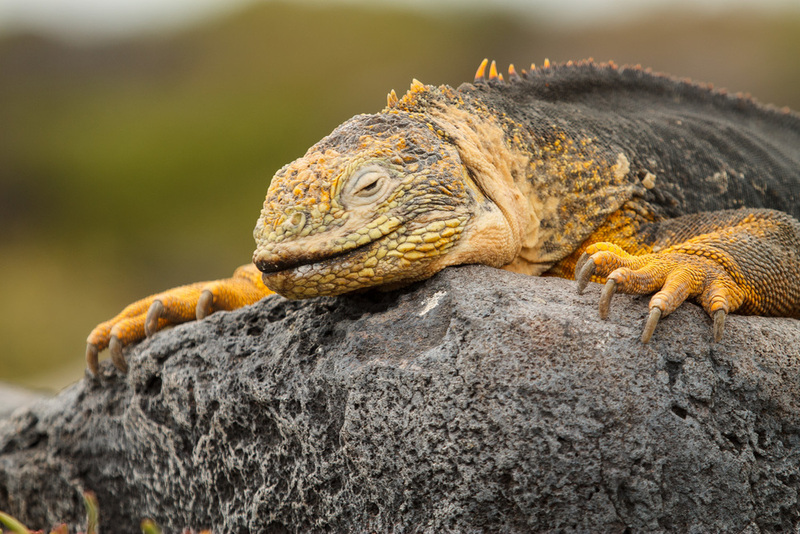 Land iguana on South Plaza Island. 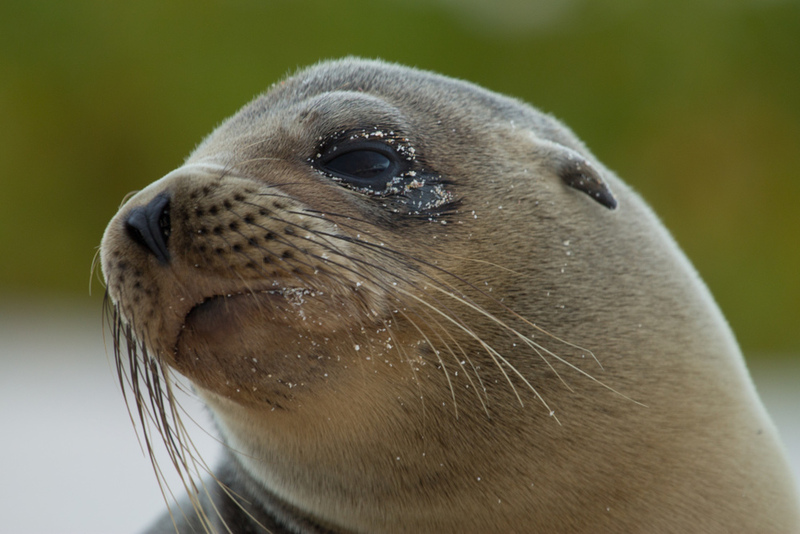 Sea lions on South Plaza Island. Short-eared owl on Santa Fe Island. Lava flow at Sullivan Bay on Santiago Island. Nazca boobies on Genovesa Island. Red-footed booby on Genovesa Island.